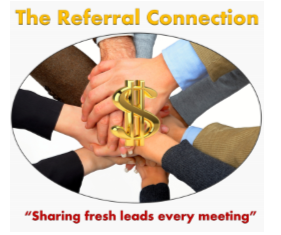 We joined The Referral Connection because we wanted to grow our businesses by focusing on local referrals generated through relationships with like-minded Chamber members. We do it by attending a free, weekly, one hour group meeting that provides exposure to our businesses, valuable tips & training, and a venue for “one on one meetings” that build know/like/trust and confidence in referring clients to each other. REMEMBER, networking meetings don’t generate referrals, it’s committed members who do it for you. You may visit the group three times prior to joining. All members are vetted prior to being accepted into the group and you must be a member of the Miramar Pembroke Pines Regional Chamber of Commerce and not a member of any other lead type group.